Workshop, every Thursday, in W04, at lunchtime, with Mr Willsher. Open to all years, every Tuesday, in S11, after school, with Mr Miller. Band practice, every Tuesday, in W04, after school, with Mr Willsher. Vocabulary Gym - vocab learning practice, revision and techniques. Thursday 3:00 - 3:45. Band practice, every Thursday, in W04, after school, with Mr Willsher. Ensemble practice, every Friday, in W04, at lunchtime, with Mr Willsher. Book Club for all years, every Tuesday, in the LRC, at lunchtime. 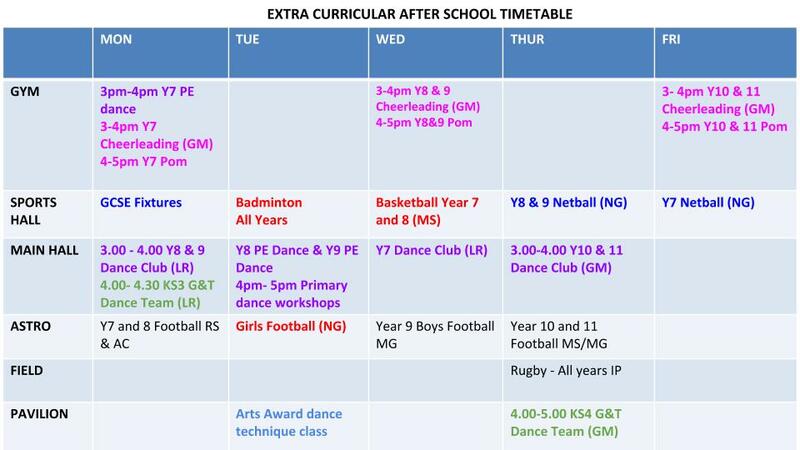 Practice, every Tuesday, in W04, after school, with Mr Willsher. Use your voice - New for September 2018! Practice for year 10, every Monday, in W04, after school, with Mr Willsher. 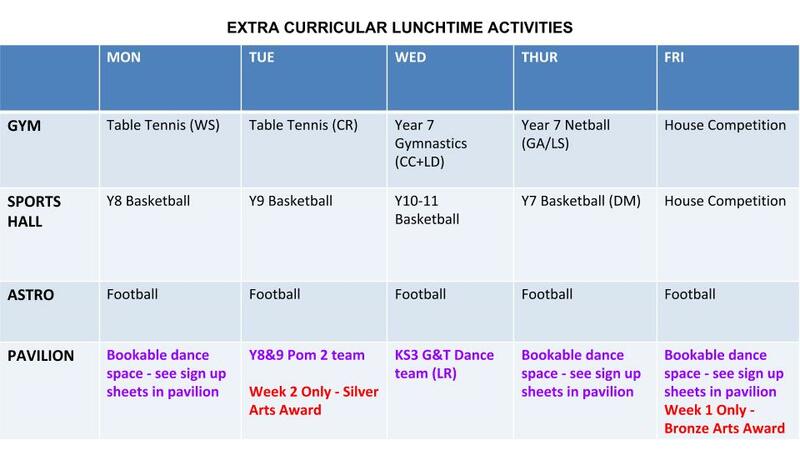 Practice for year 7, every Monday, in W04, at lunchtime, with Mr Willsher. Practice for year 9, every Wednesday, in W04, at lunchtime, with Mr Willsher. Senior Practice, every Wednesday, in W04, at lunchtime, with Mr Willsher.